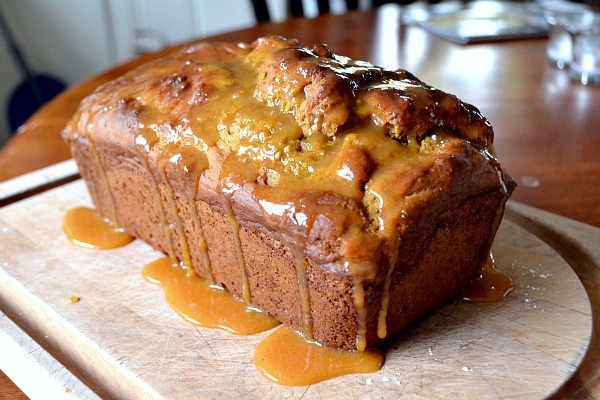 I love, love, love banana bread and banana muffins – one of my favorite things to bake! 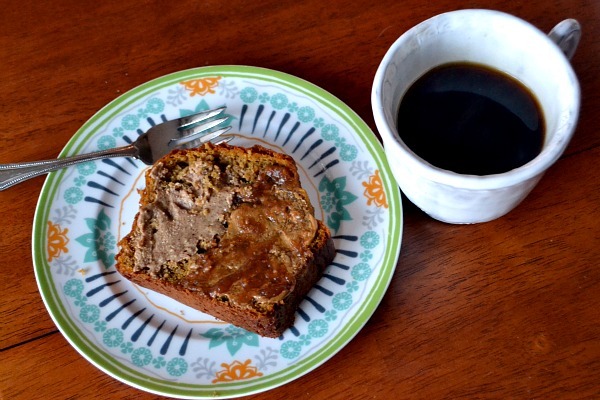 So naturally, I had to try Gourmet’s Banana Bread recipe for 68 Days of Gourmet. I usually just make a small batch of banana muffins because I rarely have three ripe bananas on hand. But a couple weeks ago I found myself with three ripe bananas and knew it was the perfect opportunity to make this bread. 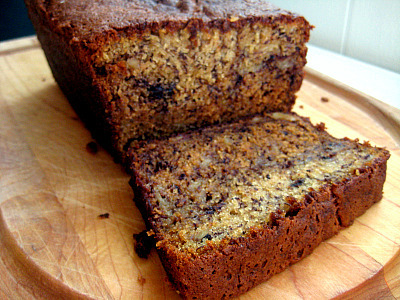 We enjoyed this banana bread but decided that our favorite recipe is still Cooking Light’s Classic Banana Bread. The Gourmet recipe is very moist and has a great banana flavor but I think the Cooking Light recipe produces a more tender cake with a nice crust. 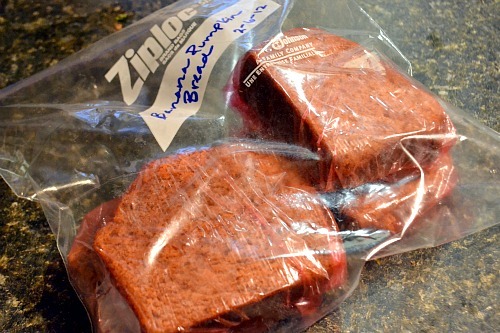 I sliced this bread into individual slices, wrapped and froze them for a great breakfast on the go. I just pop it in the microwave at work for 20 seconds or so and I have warm homemade banana bread for breakfast! Preheat oven to 350 degrees. Butter and flour 2 (9 x 5) loaf pans. Sift together flour, baking soda, cinnamon and salt into a bowl. Set aside. In the bowl of a stand mixer, beat together eggs and sugar at medium-high speed until the mixture is thick and pale and forms a ribbon when paddle is lifted, about 10 minutes. Reduce speed to low and add oil in a slow stream. Then mix in bananas, creme fraiche (or sour cream or yogurt) and vanilla. Mix in flour mixture and walnuts until just combined. Divide batter between loaf pans, spreading evenly. Bake until tops are golden brown and a toothpick inserted in the center comes out clean, about 60-75 minutes. Cool loaves in pans on wire racks for 10 minutes. Turn out onto rack to cool completely. *Note: I halved the recipe for 1 loaf. I know, I know…it’s been all about the baking posts lately. I promise I’ll get back to real food soon but I’ve just been in the mood to bake lately. Also, I recognize that I have a slight addiction to baking muffins that involve banana. I’ve shared the story before but I am a total peanut butter addict and peanut butter and banana sandwiches are one of my favorite lunches. But sometimes I just don’t use my bananas for the week and find myself making muffins with the overripe bananas. I’m a little strange because I cannot eat a banana plain. 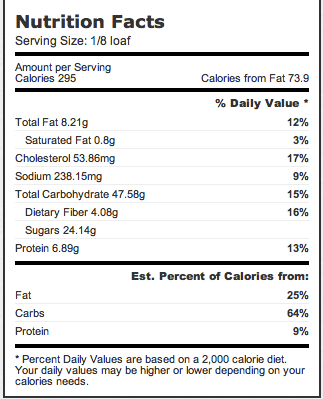 It literally makes me sick to my stomach but I love them in things…like PB&B sandwiches and banana pudding! So I decided I was ready for a change from my standby banana muffin recipe and wanted to try to incorporate my favorite sandwich in a muffin. I found this recipe on Baking Bites. 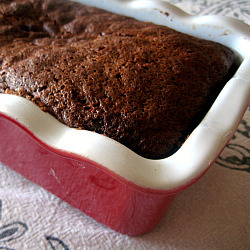 It was simple and so delicious…especially with a glass of milk! I will definitely be making these often! Preheat oven to 375 degrees. Grease a 12-muffin tin or prepare with liners. Whisk together flour, oats, baking powder, baking soda and salt in a bowl. Set aside. In a separate bowl, mix together vegetable oil, brown sugar, eggs, mashed banana, peanut butter and buttermilk until smooth. Stir in flour mixture flour mixture mix well. Divide batter evenly into prepared muffin pans, filling about 3/4 full. Bake for 16-20 minutes, until a toothpick inserted into the center comes out clean and the top springs back when lightly pressed. Remove muffins frompan and cool on a wire rack.